February 25, 2007 - An item on the front page of the "Jobs" section in today's Washington Post reflected the media's continuing practice of using "nurse" as a shorthand for any female who provides paid care to children. Vickie Elmer's piece repeatedly refers to the Maryland infant caregiver it profiles as a "baby nurse," even though the provider has virtually no health care training. Obviously, as Post representatives pointed out to us, there is a historic association between infant caregiving and the word "nurse," as in "nursemaid." And many caregivers persist in marketing themselves as "baby nurses." We're familiar with the view that if lots of people have done something for a long time, it must be right. But to use "nurse" this way today sends a damaging message about professional nursing at a time of crisis. And it poses risks for those who may rely on the mistaken belief that such caregivers actually are trained nurses, as recent press accounts have made clear. We commend DC nurse Mary Brewster for letting the Post know that it can do better, and we encourage others to give the Post their views. The short Post profile is headlined "Bringing Balance to Life With New Babies," and it carries the tag line "Off the Beaten Career Path." It informs us that Meredith Ball, who "loves babies," is a "specialist in caring for newborns, more commonly called a baby nurse." Of course, it is indeed common to hear this term, because many infant caregivers market their services this way, not least the one profiled here, who recently received glowing coverage in The Baltimore Sun. The piece proceeds to use "baby nurse" twice more. It describes Ball's business, Babiease, which specializes in the care of multiples. It says Ball is paid $28 per hour (which, incidentally, is more than many real nurses make after years of college science training). The piece explains that being a "baby nurse" requires "job organization and an ability to multi-task, as well as a calm, caring personality," but that "[n]o degree or specialized training is required, nor is the position licensed in most states." That's pretty much our point. We have no reason to doubt that many caregivers like Ms. Ball provide a valuable service. But when you call someone a "nurse," many people will naturally assume that person is a nurse, or is basically like a nurse. And when such a person has no health expertise, it would be natural to conclude that nurses generally are caring people who lack significant health care skill, which is, after all, consistent with prevailing social and media messages. 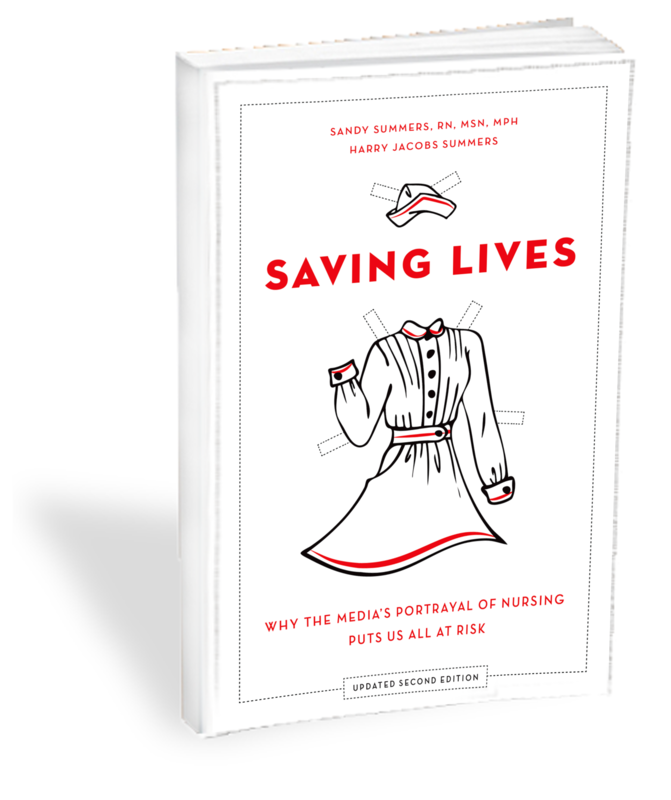 Nursing's handmaiden image inhibits its ability to get the respect and resources it needs to resolve the global nursing shortage. As for the Post's apparent view that the term "baby nurse" is acceptable because people have used the word "nurse" this way for hundreds of years, we assume the Post is not arguing that every longstanding practice is automatically right, and need never be changed. Needless to say, countless longstanding practices have been changed when people came to realize they caused harm. In order to call herself a nurse, this woman needs an associate or bachelor's degree in nursing and a state license to practice as such. Nurses are educated in the sciences, in critical thinking and have completed many clinical hours in pediatrics, obstetrics, medicine, critical care, public health and mental health to be eligible to sit for board licensing exams. Nurses do provide care and compassion, but just as importantly they are able to assess for health or illness, provide the appropriate care based on their assessment and must be able to communicate these to the consumer (patient or client), family, nursing and medical colleagues. The woman in this article is probably very good at what she does, but she is NOT a nurse and should not be calling herself such. We hope that in the future, the Post will consider the effects of the terminology it chooses to endorse. editor Mary Ann Haggerty on her email webform. Please also copy us at letters@truthaboutnursing.org. Please let us know if you would like us to send your letter for you and we will happily do that for you. Thank you! Please also contact Meredith Ball and politely ask her to stop calling herself a "babynurse." Her email is: meredith@babiease.com. Thank you.